The Marshall TSL100 amplifier some love and some hate. But are they wrong? does this amp offer the best sounds that money can buy? Back in 2006 or 2007 I wrote an album I released called 'Eniac'. Now some (read most) of you guys will never have heard of that music before. 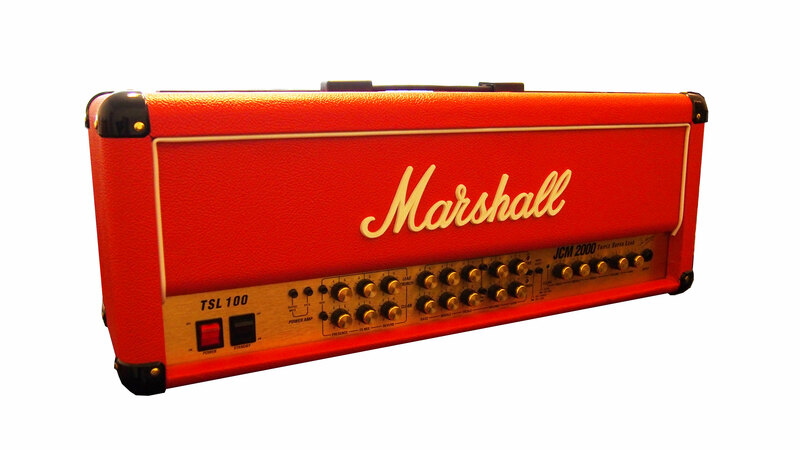 I mention that music here because that whole album was recorded on one of these TSL100 Marshall amp heads. It's all a little strange how you can buy one of these amplifiers for peanuts today (2015) and indeed this very amp (which I recovered in red tolex) was bought for just about £250 ($350). That is one reason why I decided to buy another one, my original was sold years ago (I don't really know why) but the JCM2000 TSL is one of the best amps I have ever recorded with and you could say that I have had a few to compare it to. Back to that music. Let me explain. There are quite a few tracks that I really liked on that album, and it seems that others like them too! Anyone who has heard of N1M might know that I have had two tracks at different times within the top 20 tracks on there. Now that's no mean feat, but more importantly, it shows the quality of this very amp model. Check those tracks out on CD Baby or indeed iTunes, one is called 'Lightpipe AI' and the other one is 'Metropolis'. Both tracks used this amp throughout and the tones I achieved are frankly (at least to me) awesome. In fact the amp sounded much better recorded than it did live! but more of that later. The DSL and the TSL were issued at similar times (DUAL or TRIPLE super lead) and I did own a green DSL (under review on this website also). I also owned a TSL 60w amp; this amplifier came in 60w and 100w versions and I can tell you they are completely different beasts and sound different too. As usual Marshall used EL34 tubes in this amp and they are not changeable easily for other octal types such as KT88's etc. so don't try it unless you are going to mod the amp. As an enhancement of the DSL this amp has three channels and all tend to be what you might expect form a Marshall amp, great sounds. But when I was looking inside this one recently and having recovered the amp in that nice red Levant, I did notice a number of things that made the amp feel 'cheap' compared with other amps like (for example) the 1987X or YJM100 amps also from Marshall amplification. 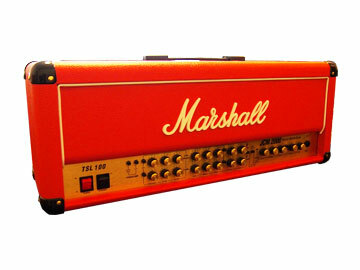 So did Marshall cut back in quality or downgrade this amp and make it cheaper in some way? It's a good question that we will be covering in this inside and out review in a way that others do not. At the time Marshall did sell a load of the TSL in both formats but as most of you will know the TSL is now no longer made, but Marshall still sell the DSL (which moved production from Milton Keynes to the far east for the DSL). The TSL became no more so maybe the DSL sells more than the TSL did? Who knows and Marshall is not telling. So let's get down to business and look closer inside the amp first. Neither the video review or this review are completed yet, but check my news page where I publish which reviews are completed and when.